Hey there!We girls, take so much care of ourselves, of our body, our skin that we have different creams for every part of our body. We girls have soooo much in common. Boys should really learn this from us, haha. Anyways, just like every body part, we take good care of our lips too. I’m sure everyone must be applying some or the other home remedy for radiant lips. But after exfoliation and everything else, the last step is to moisturize and what’s better than a lip balm, right? 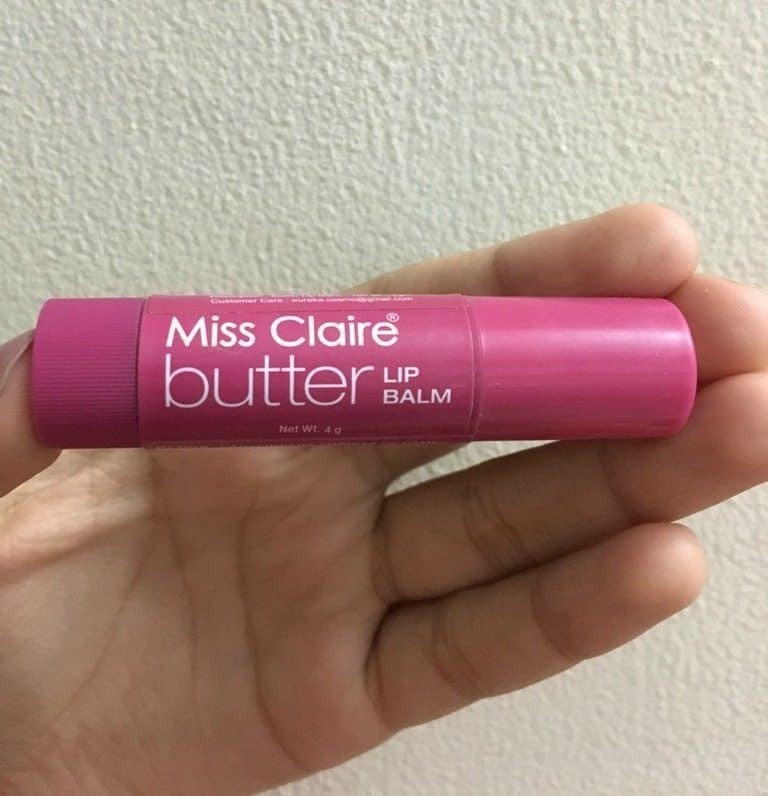 So I am reviewing Miss Claire’s lip balm today.It comes in a simple, dark pink, cylindrical container. The lip balm is preserved very well and one can roll it up whenever wishes to apply it on the lips. I purchased this lip balm from a beauty store at rupees 80 for 4 grams after discount. Originally it is for 130 rupees. Not really but do read the ingredients carefully mentioned on the bottle before purchasing it. It comes in a little pink bottle. It has a pink lid and a rolling bottom. 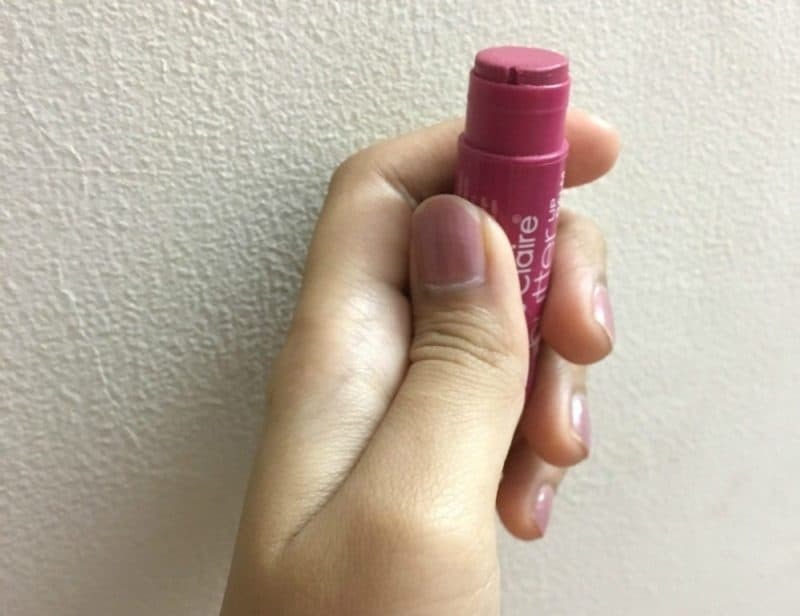 It helps the lip balm to roll up for use and while closing it, simply roll it the other way so that it goes down and it is easier to close the lid without spoiling the balm. You can apply it whenever you want. I totally love this lip balm. 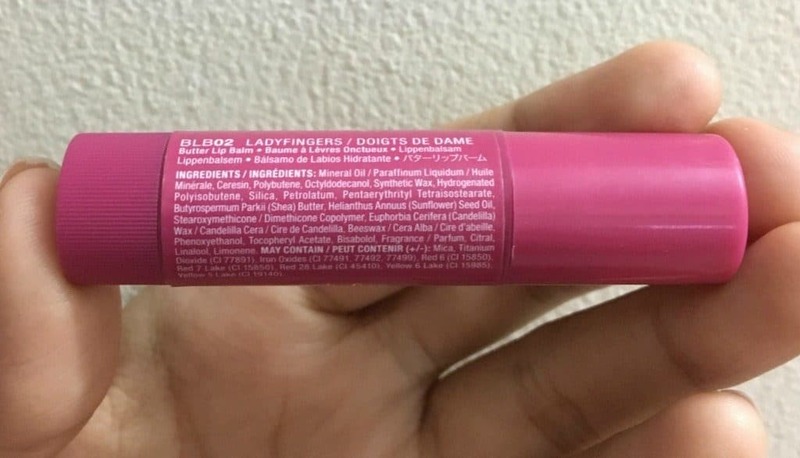 The one I’m using is ladyfingers Miss Claire butter lip balm. The bottle is simple and cute and it’s small so it gets easy to carry it almost everywhere. It also fits in my pants’ pockets. What else do I need? Haha. But on a serious note, it serves its purpose. My lips are really chapped. It’s always dry and this little balm helps to maintain moisture on my lips all the time. It also adds a natural pink shade to my lips. It has a pleasant fragrance as well. It does wear off quickly but you can keep applying it. Overall it’s a good product for daily use. Its serves its purpose and makes the lips look pretty and moisturized. 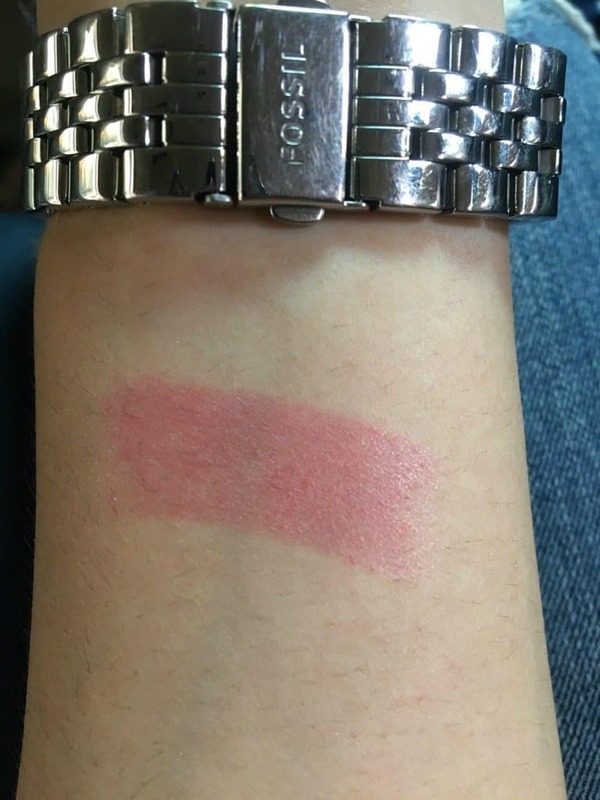 BDW its the perfect dupe of NYX Lady Finger Butter balm reviewed HERE. Best Home Made Face Packs For Summer ! 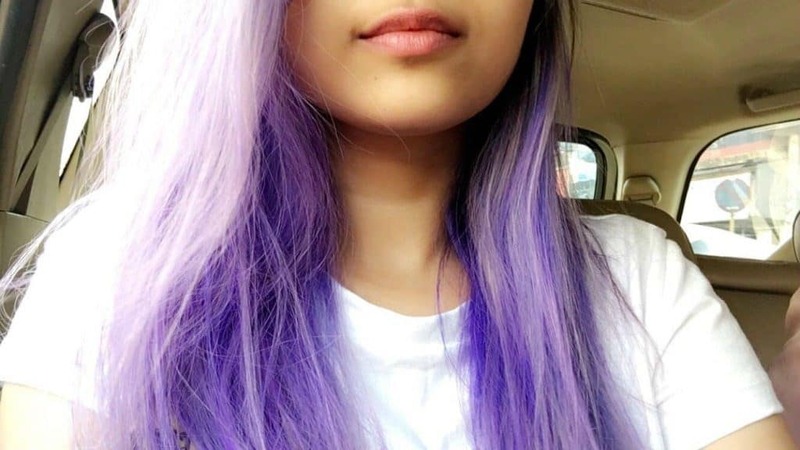 Liking this color and also, your hair are beautiful! Sweet review. Love your hair colour!